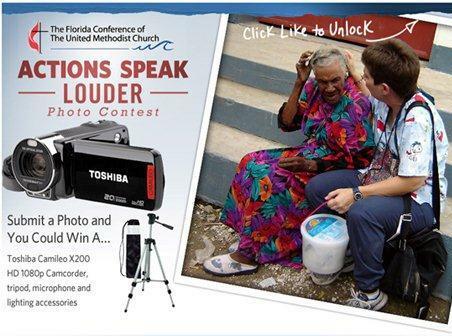 Voting for the finalists in “Actions Speak Louder,” the Florida Conference’s first photo contest, begins on Monday, Nov. 19, and ends Dec. 3. Photographers could win a video production package for their church. To vote, visit the Conference Facebook page and click on the Vote button. Voting is open to anyone 12 and older, and each voter may vote once a day, she added. • Churches with an average weekly attendance of over 125. The winner in each of the categories will be selected by judges. • PRO24CM Stereo Microphone with Camera Mount.